See pictures of the charming grounds and comfortable interior of The Villas of Ovilla. We are always open! Contact Owner Loreen Silva today for information about booking time at The Villas of Ovilla for your event. A comfortable and charming retreat with a relaxed country atmosphere, nestled in Ellis County just 20 minutes from Dallas! 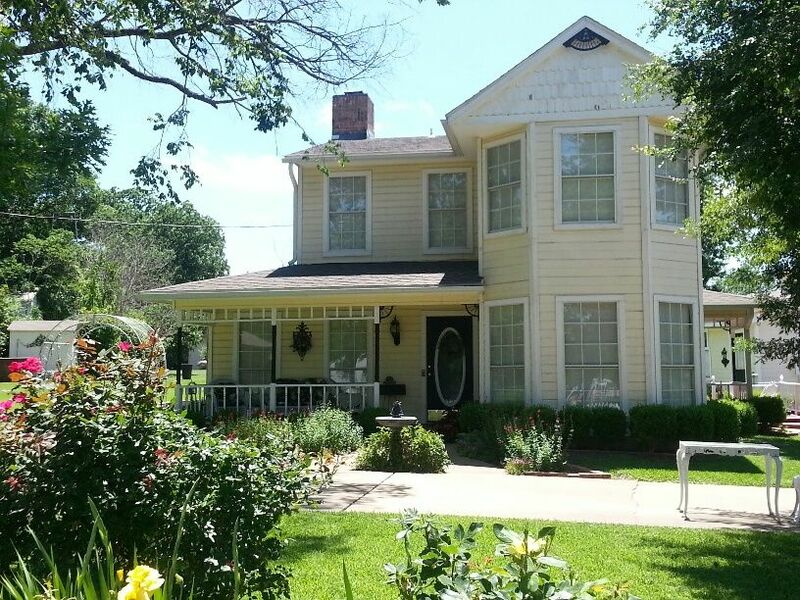 Our lovely home and garden grounds are found nestled in Ovilla, the oldest city in Ellis County! The Villa is large enough to comfortably accommodate multiple guests for overnight stays and recreation. We are centrally located 20 minutes from all major Dallas/ Ft Worth attractions including Joe Pool Lake, The Dallas Zoo and historic Waxahachie. For all you Foodies, Trinity Groves and Bishop Arts are the hosts of DFW’s most popular food venues just minutes from Downtown Dallas! Ovilla is only 35 minutes from the AT&T Stadium and Rangers Ballpark, as well as Six Flags and Hurricane Harbor in Arlington. Ideal for weddings, reunions, weekend retreats, and company meetings, our Villa is also a great destination for a girls weekend or romantic getaways! From sunny afternoons exploring by the nearby creek to star-gazing on the porch at night, the Villa is filled with peace and tranquility. Indulge in the quaint setting with a complimentary bottle of wine! Conveniently located. Beautiful. Relaxing. Fun! Owner Loreen Silva featured in Ellis County NOW Magazine! The Villas of Ovilla: Victorian Country Weddings and Event Venue!